community in the Americas. Separate chapters take up the sun, the moon, meteorological phenomena, the stars, and the planets. 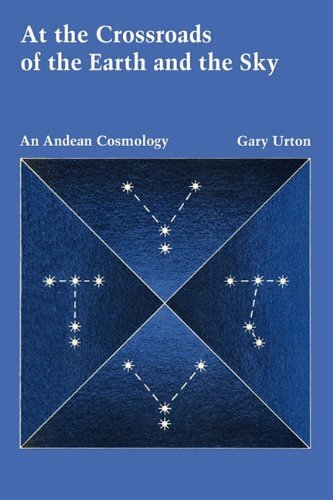 Star-to-star constellations, the "animal" dark-cloud constellations that cut through the Milky Way, and certain twilight- and midnight-zenith stars are analyzed in terms of their spatial and temporal integration within an indigenous cosmological framework.Urton breaks new ground by demonstrating the indigenous merging of such forms of "precise knowledge" as astronomy, meteorology, agriculture, and the correlation of astronomical and biological cycles within a single calendar system. More than sixty diagrams clarify this Quechua system of astronomy and relate it to more familiar principles of Western astronomy and cosmology. Gary Urton is Dumbarton Oaks Professor of Pre-Columbian Studies in the Department of Anthropology at Harvard University.